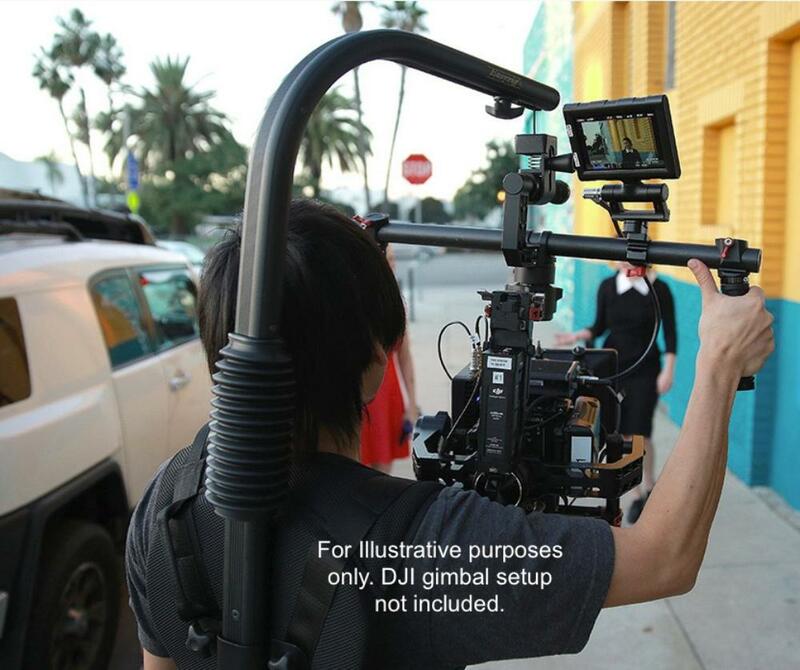 The Easyrig Vario 5 Gimbal Rig increases ergonomics and comfort while operating handheld gimbals and other Steadicam rigs. The vest is adjustable so that you feel the weight of the camera on your hips instead of your back. 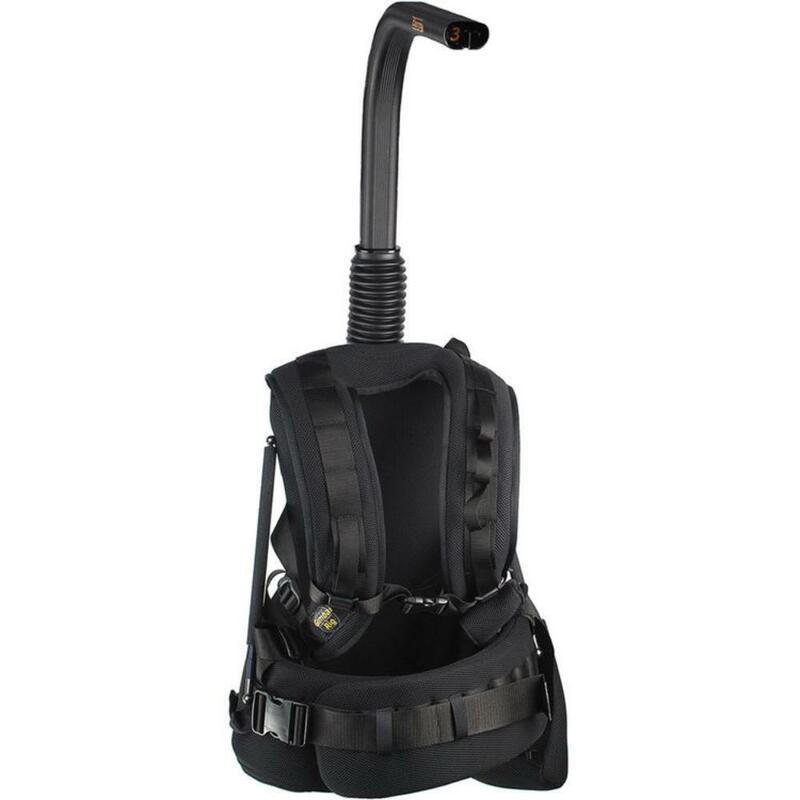 Shoulder straps help keep the entire thing balanced. You can shoot at various heights simply by moving your rig up and down with the help of the tension rope inside the vertical support bar. 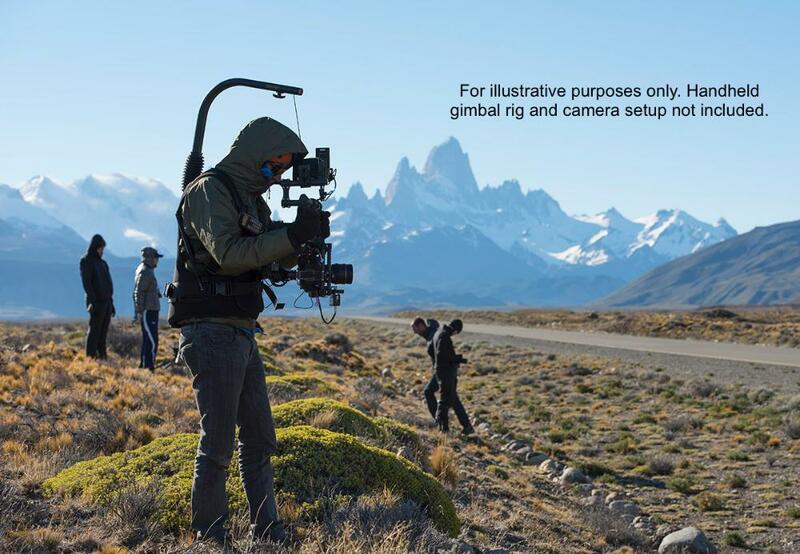 This Gimbal Rig is ideal for a variety of shooting conditions, including small sets where there are a limited number of camera operators. • This rig has an 11-38 lb load range. • The vest is a "standard" size and may be too big or too small for some people.